This entry was posted on May 20, 2010 at 6:08 am and is filed under ...all the old familiar places, JP's Dedham, Lost Dedham. You can subscribe via RSS 2.0 feed to this post's comments. You can comment below, or link to this permanent URL from your own site. 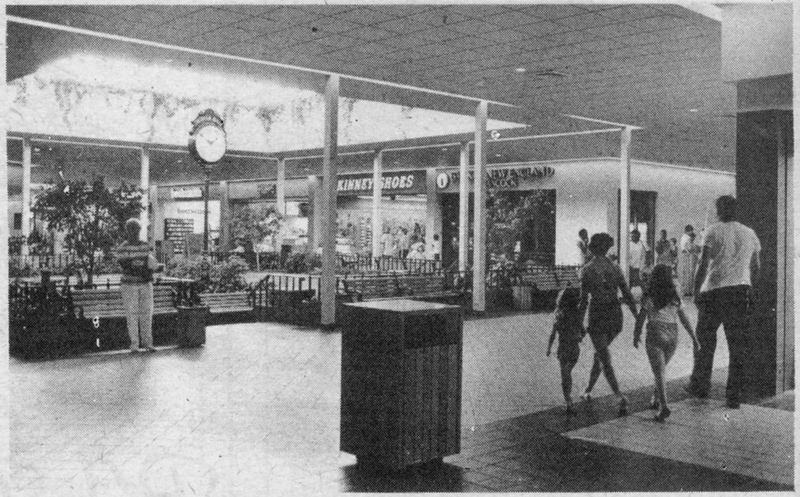 Remember when they would put up a temporary Hickory Farms store in that recessed garden area right around Christmas? Was that only temporary? I just remember that the cheese smell in there was overwhelming. My memory is that the one in the recessed garden was only temporary. But I think at one point there was a permanent location in one of the regular storefronts. Isn’t that right? Wasn’t there a Hickory Farms between the Hallmark store and the Baker’s shoe store, right across from Brighams? Could be- I never shopped there; it was always just a good source for my juvenile wisecracks about the girls who worked there cutting the cheese.